The scrappage scheme is (unofficially) back, with Fiat and Vauxhall offering buyers thousands off a new car when they trade-in their old one. Vauxhall is offering up to £2000 off any Astra, Mokka, Mokka X, GTC, Zafira Tourer, Insignia and Cascada models. However, the Viva, Adam Jam and some Corsa models are excluded. The deal is also dependant on owners proving that they’ve owned their car for at least 90 days and agreeing that their trade-in car will be scrapped and not resold. 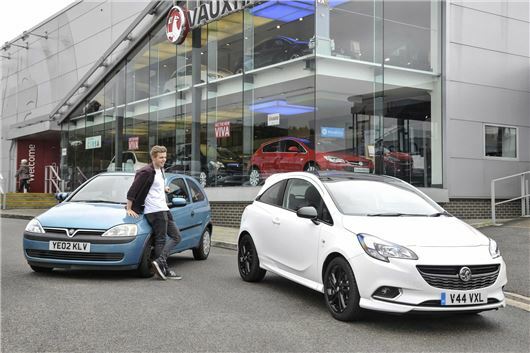 Vauxhall is keen to stress that its scrappage programme will not “rid the world of classic cars”. As a result, any trade-in vehicle built before 1991 will be offered to Vauxhall owners’ clubs for spare parts before being considered for scrap. Fiat's 'Big Swappage Deal’ will give buyers up to £2500 off a new 500X, with smaller discounts - varying from £500 - £2000 - across the rest of the range. The deal covers almost all Fiat models – except the new 124 Spider - however, it is not clear if classics will be saved from the crusher. The last Government-backed scrappage scheme was implemented back in 2009 to boost the UK's flagging post-recession automotive industry. However, while the scheme was considered a success for dealers and manufacturers, with almost half a million new vehicles sold, it was lamented by enthusiasts after it resulted in the destruction of thousands of classic and historic cars.